We await the arrival of the prioresses, delegates, and guests for the 26th General Chapter of the Federation of Saint Benedict. May the bell banner of Annunciation Monastery guide you to our front door! The Conference of Benedictine Prioresses are meeting at the Redemptorist Retreat Center in Tucson, AZ. At their business meeting, the conference approved a structural change. A chairperson will oversee the conference and have a four member committee that will work with her. Members elected Sister Jennifer Mechtild Horner of Our Lady of Grace Monastery (Beech Grove, IN) as the chairperson. Committee members will be elected on Saturday, February 4. Prioresses from the Federation of Saint Benedict in attendance include: Nicole Kunze, Annunciation Monastery; Annie Thompson, St. Martin’s Monastery; Sandra Brunenn, St. Mary Monastery; Michaela Hedican, St. Benedict’s Monastery, MN; Beverly Raway, St. Scholastica Monastery; and Paula Hagen, St. Paul Monastery. Kerry O’Reilly, President of the Federation of Saint Benedict, was also in attendance. 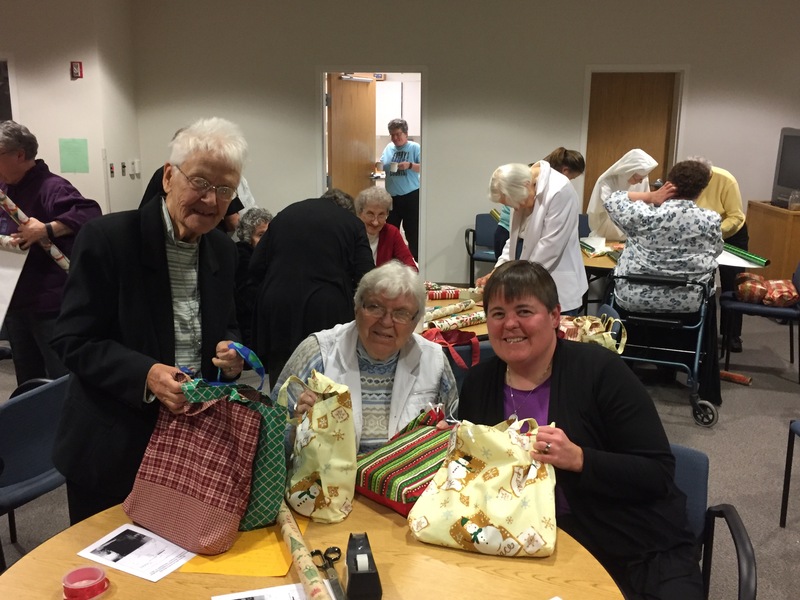 On November 19, 2016, the sisters of Annunciation Monastery gathered to wrap gifts and pack bags to be sent to two orphanages and a special needs home for teens and adults in Piedras Negras, Mexico. Sisters Hannah Vanorny and Idelle Badt and others from the Benedictine Volunteers program participated in an immersion mission trip this past May. They worked with Sister Ursula, a Benedictine Sister of St. Scholastica Monastery, Boerne, TX, who resides in Eagle Pass, TX. 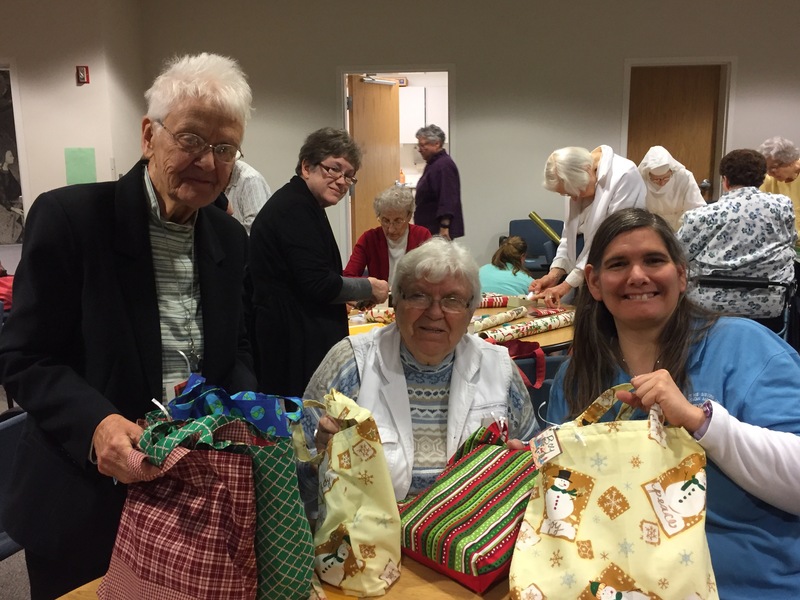 There was quite a buzz of activity in the community room as sisters sorted, wrapped, and packed gifts while others wrote notes in Spanish for the children and adults receiving the gifts. The project concluded the sisters’ ongoing formation study of the Jubilee Year of Mercy.